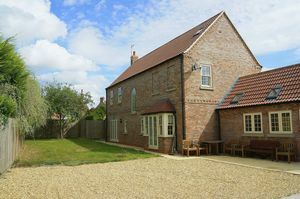 Individually designed detached residence situated in the heart of Balderton village, with accommodation briefly comprising an impressive reception hallway, cloakroom, three reception rooms, breakfast kitchen, delightful galleried landing, five bedrooms, three en-suites and a family bathroom. 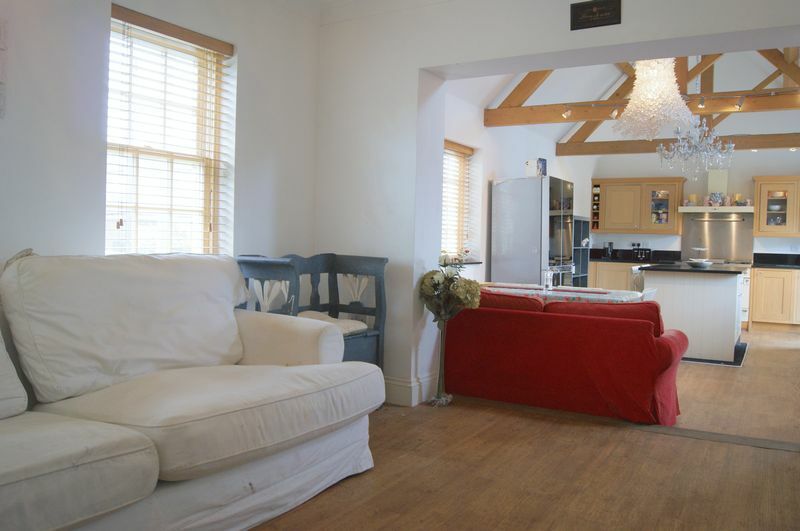 There is a driveway providing off road parking, and an enclosed rear garden enjoying a high degree of privacy. Early viewing is essential to appreciate the spacious accommodation afforded by this property. The spacious and impressive reception hallway has the staircase rising up to the first floor galleried landing, beneath which is sited a useful storage cupboard. In addition there is a large cloaks cupboard. 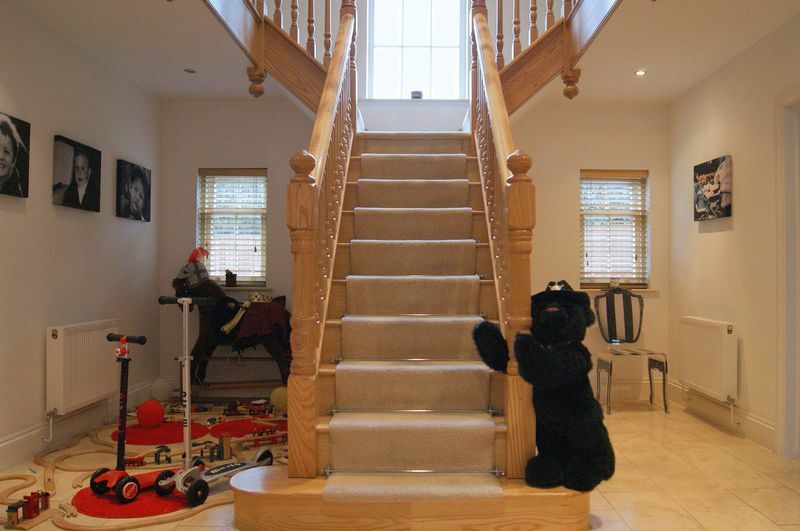 The hallway has doors leading to the lounge and family room and a further door leads to the downstairs cloakroom. There are two windows to the rear elevation. The hallway is enhanced with ceramic tiled flooring and recessed ceiling spotlights. The downstairs cloakroom has an opaque window to the front elevation and is fitted with WC and contemporary pedestal wash hand basin. The cloakroom is also enhanced with ceramic floor tiling and has a ceiling light and a radiator. This excellent sized and well proportioned reception room has double entrance doors, dual aspect windows to the front and rear elevations and French doors leading out to the garden. There is a feature brick fireplace (not tested by the agent) with timber mantle. The lounge is further complemented with solid wood flooring, cornice to the ceiling, twin ceiling light points and two radiators. 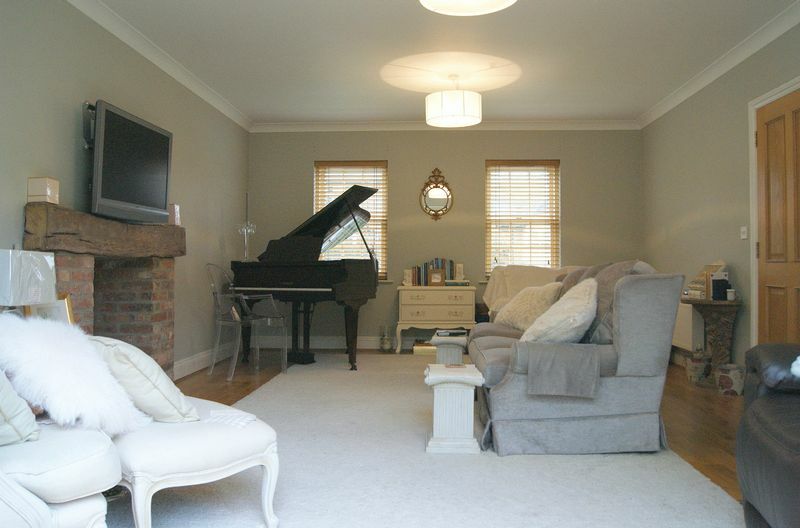 This delightful second reception room has two windows to the front elevation and a large opening and step which leads into the breakfast kitchen. The family room is enhanced with cornice to the ceiling and also has a ceiling light point and a radiator. From this room access is provided to the dining room. The dining room has windows to the rear elevation and French doors leading out to the garden. The dining room is enhanced with cornice to the ceiling and also has a ceiling light point and a radiator. 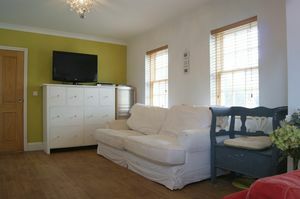 This room is suitable for a variety of uses including a play room, home office or study. The breakfast kitchen has dual aspect windows to the front and rear elevations and two skylight windows to the rear. In addition there is a glazed door leading out to the rear garden. The breakfast kitchen, which is the heart of the family home, is fitted with a comprehensive range of base and wall units, including display cabinets, with granite work surfaces and splashbacks. There is a one and a half bowl stainless steel sink, a gas fired range cooker with extractor hood above, an integrated dishwasher, washing machine and fridge. 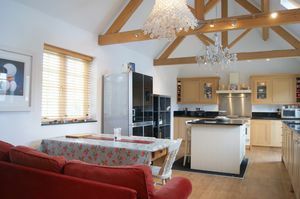 To further complement this room there is a breakfast bar integrated within a central island. This superb room is of sufficient size to comfortably accommodate further dining room or occasional furniture, and is further enhanced with exposed roof trusses, two ceiling light points and spot lighting. 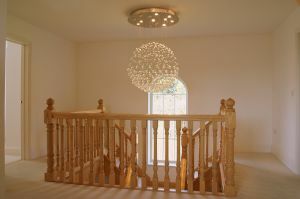 The staircase rises from the entrance hallway to the first floor galleried landing and at the half landing there is a feature arched window to the rear elevation. 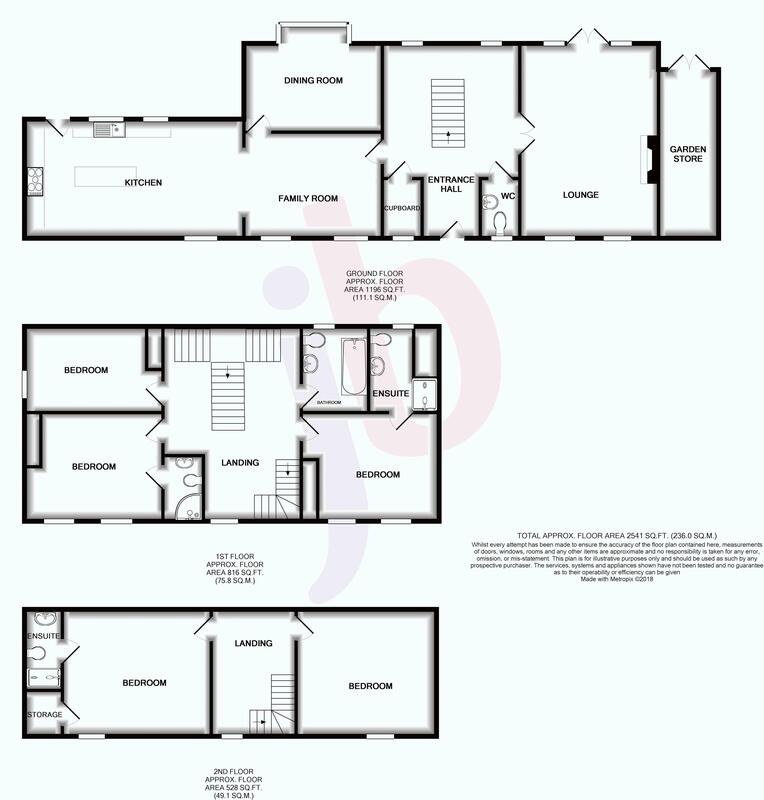 The large landing also has a window to the front elevation and provides access to three double bedrooms, the family bathroom and the staircase rising to the second floor. An excellent sized double bedroom with two windows to the front elevation. This room benefits from having a fitted double and single wardrobe. There is also a ceiling light point and a radiator. A further door leads to the en-suite shower room. The en-suite shower room has an opaque window to the rear elevation and is fitted with double width walk in shower cubicle with mains shower, pedestal wash hand basin and w.c. There is a cupboard housing the central heating boiler and tank. 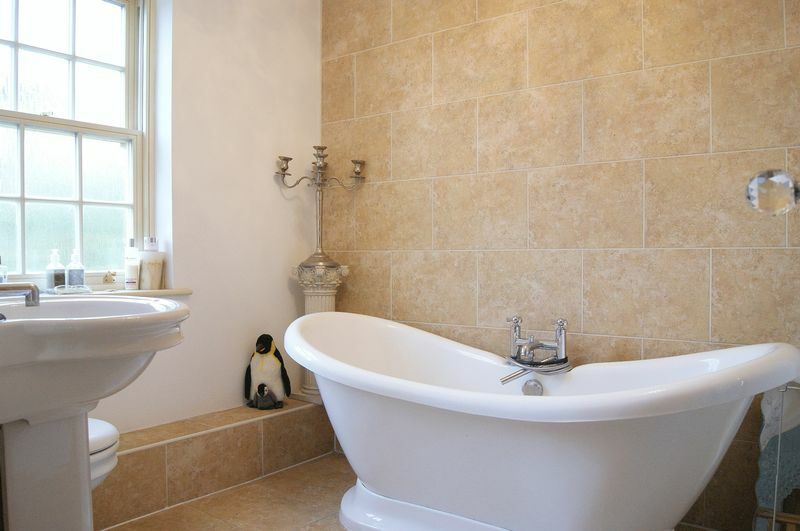 The en-suite is enhanced with a ceramic tiled floor and also has a heated towel rail. A good size double bedroom with two windows to the front elevation. This bedroom also has a double fitted wardrobe, a ceiling light point and a radiator. A door leads to the en-suite shower room. The en-suite shower room is fitted with a walk-in shower cubicle with curved shower screen and mains shower, pedestal wash hand basin and WC. Once again, this room is enhanced with ceramic tiled flooring and has a heated towel rail installed. A double bedroom with a window to the side elevation. 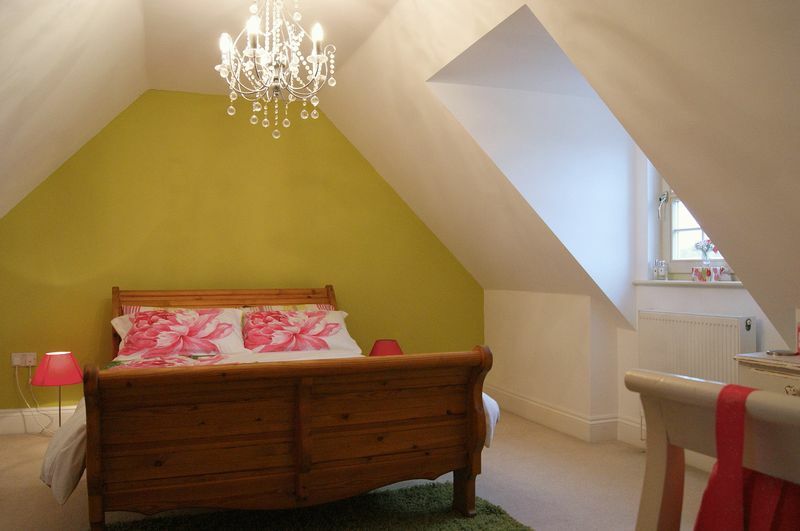 This room has a fitted double wardrobe, a ceiling light point and a radiator. The well appointed family bathroom has an opaque window to the rear elevation and is fitted with a roll top bath with shower mixer tap attachment, pedestal wash hand basin and WC. The bathroom is enhanced with part ceramic tiled walls, ceramic tiled flooring and a heated towel rail. This spacious landing has a window to the front elevation and provides access to bedrooms four and five. A very good size double bedroom with a dormer window to the front elevation. 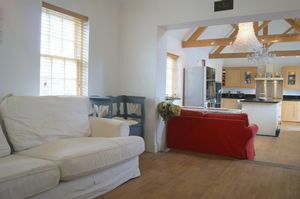 The room has storage space within the eaves and a door leading to the en-suite shower room. In addition there is a further useful storage cupboard for luggage etc. The en-suite has a skylight window to the rear elevation and is fitted with a double width walk-in shower cubicle with mains shower, pedestal wash hand basin and WC. The en-suite is further complemented with ceramic floor tiling and a heated towel rail. Again, a good size bedroom with a dormer window to the front elevation. To the front of the property is a lawned garden with a footpath and steps leading up to the front door. To the side is a driveway leading up to double electric wooden gates which provides off road parking for several vehicles. Agents Note: There is sufficient space behind the electric gates to construct a garage, subject to any appropriate planning consents being obtained. 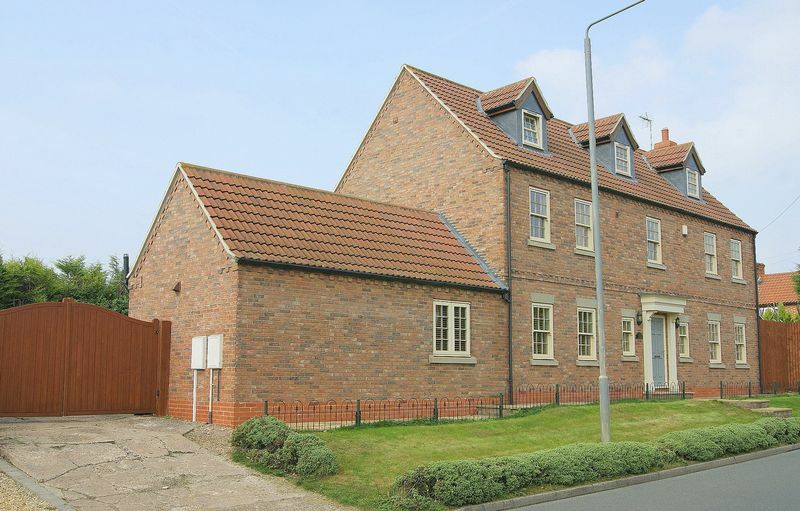 To the rear of the property is an enclosed garden which is laid to lawn and enjoys a high degree of privacy. There is also a brick store/garden store. 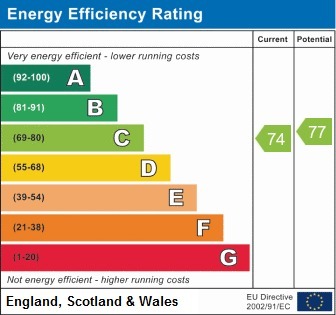 The property is currently in Band F.